James Horner's death in June 2015 robbed film music of one of its greatest dramatists. 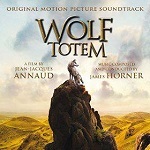 When it came to soaringly melodramatic and emotional epics, Horner had few equals – and it's therefore fitting that one of his last scores turned out to be the sweeping Wolf Totem. It isn't the final work that Horner recorded prior to his death - he also composed the modernistic, subdued soundtrack for Antoine Fuqua's boxing drama Southpaw, as well as Fuqua's upcoming Magnificent Seven remake, an assignment that the composer undertook in secret. And due for release later in 2015, although scored in 2014, is the soundtrack for Chilean mining drama The 33. What makes Wolf Totem special is that it's vintage Horner: broad in its scope and full to the brim of the expansive beauty familiar from the likes of Glory, Legends of the Fall and countless others. The movie is directed by Jean-Jacques Annaud, who in the past has worked with Horner on The Name of the Rose, Black Gold and Enemy at the Gates. Based on Jiang Rong's novel, it's the story of a 1960s Beijing student who is sent to live with shepherds in the remote landscape of Inner Mongolia. Whilst there he learns more about their culture, in particular their complex relationship with wolves. 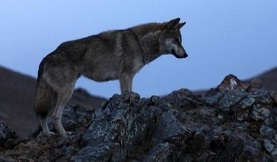 A grandiose French/Chinese production, the movie is notable for featuring a dozen wolf pups that were trained over the course of several years for use in the filming. However the real point of interest is Horner's score, one whose compositional highlights are now tinged with inescapable sadness. Given real life events, Wolf Totem turned out to be one of the composer's final epics, making it more than just another score: it's also a line in the sand. And whilst it arguably doesn't present anything that's radically new, the score does sum up why Horner's music is so revered. The score is dominated by a haunting central theme that first rises up in the opening track, "Leaving for the Country". Preceded by wailing ethnic vocals (another of the composer's hallmarks heard in the likes of The Missing, Troy and the aforementioned Black Gold), noble horns and surging strings present a majestic melody that speaks of vast wilderness, the beauty of nature and also the melancholy arc of the storyline. However, at this stage the presentation of the theme is fragmented. The majority of the opening cue is instead given over to textural ideas including woodwind effects and fluttering Avatar-style pianos. The aforementioned textures continue in "Wolves Stalking Gazelles", which brings in the haunting sound of the Chinese erhu cello and the pipa bamboo flute. It also introduces the score's characteristic strain of brutally aggressive action music, whose rhythmic sense goes all the way back to the Oscar nominated Aliens in 1986. The lengthy "An Offering to Tengger/Chen Saves the Last Wolf Pup" features more striking action music before giving way to a strikingly beautiful presentation of the main theme that's gorgeous in its flowing lyricism. "Wolves Attack the Horses" begins on a note of stark menace with percolating strings and dark brass erupting into a powerfully rhythmic piece undercut by the composer's familiar rumbling piano. "A Red Ribbon" is the polar opposite: a beautifully pastoral take on the theme with noble horns, smooth strings and a notably lovely pipa solo. Flighty strings open "The Frozen Lake", suggesting movement across a vast landscape, before the resonant brass section and, eventually, powerful timpani, join forces to bolster the music. Again, it creates a galloping, rhythmic sense of excitement; a hallmark of the composer's stretching all the way back to Battle Beyond the Stars and Star Trek II: The Wrath of Khan at the start of his career. Towards the end, a lonely trumpet solo even gives rise to Horner's infamous – and much parodied – four note 'danger' motif. The intimate "Discovering Hidden Dangers" belies its title with a delightful interaction between the ethnic instrumentation and gentle strings, not too dissimilar to the tone of Horner's The Spitfire Grill. However, the idyll is soon shattered with some harsh brass chords that give way to a desolate sense of sadness. "Little Wolf" then proceeds in melancholy fashion (with more input from the danger motif), building additional power from carefully placed timpani and synth effects. This then gives way to some lovely searching strings and even some comically lighthearted material, not unlike something heard in a Disney movie. "Scaling the Walls" is altogether darker and more discordant initially, challenging textures building into a surgingly defiant piece with the addition of clanging bells for added power. "Suicide Pact" is altogether more downbeat, with the string section proving especially moving. It's at times like this that the composer's seminal Braveheart is evoked: there's beauty but a genuine sense of tragedy to go with it. The strings are used to more rhythmic effect in "Hunting the Wolves", which charges forward with a palpable sense of energy and excitement. That Horner is able to re-mould his central theme as an action piece demonstrates not just the versatility of his ideas but also his superb skills as a musical storyteller. The track's climactic, heartfelt statement of the main theme then gives way to the despairing "The Death of A'ba", which brings back the vocal work and haunting cello to gorgeous effect. Then, in typical Horner fashion, we're treated to a sumptuous, lengthy round-up of the score's principal ideas in the closing cue "Return to the Wild", a piece of stunning beauty that allows the marvellous central theme a number of triumphant variations that leave the listener breathless. Few composers flourished as effectively when writing extended cues of film score music; for Horner, this was when he was most in his element. By allowing his ideas to breathe, the composer was able to create a tapestry of music that encompassed a host of differing emotions, veering from joy to sadness and back again. 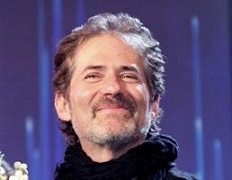 James Horner once likened his role as a film composer to a working on a painting: a role in which impressionistic strokes, textures and colours create a heightened sense of mood. To see his extraordinary career as one vast canvas probably helps explain why certain details and motifs are intentionally replicated and plagiarised throughout his scores – but it also serves to reinforce why his music is so singular and distinctive. Even when a particular score can't help but call to mind the legacy of all those works that went before, they are recognisably, identifiably Horner's. Wolf Totem is no exception. It's a throwback to innumerable Horner masterpieces of old, yet at the same time sums up his dramatic intuition and gift for melody beautifully. The composer was arguably at his best in the realm of rich, expansive melodrama and Wolf Totem is exactly that: a soundtrack that conveys both the majesty and savagery of nature, the vast expanse of the Mongolian landscapes, and the encroaching threat to a traditional way of life. It's the sort of movie Horner loved to score, one with a sense of human drama at its centre. The composer's central melody effortlessly expresses these complex contradictions and the ethnic instrumental embellishments are tastefully done, never pandering to obvious musical clichés. In short, Wolf Totem is another masterful work from a composer whose death will be lamented for years to come, and a fitting summation of the emotion that coursed through a remarkable career. The score album can be found at the following links on: Amazon.co.uk and Amazon.com.